This past summer (August 2013) Leanne and I (pictured above) had an opportunity to paddle the Broken Group Islands in Pacific Rim National Park Reserve. The Broken Group are a network of approximately 100 islands off West Coast Vancouver Island. The network of small islands allows for sheltered sea kayak touring on an otherwise exposed coastal region. West coast Vancouver Island is, in general, a rich ecological and cultural area. It is home to five different first nations and tribes, many of whom live in isolated coastal areas. Most noticeable during our visit was the fact that we were recreating in a temperate rainforest. In nearby Port Alberni (100kms West of Ucluelet) the weather was as dry or drier than the Okanagan. The Ucluelet, Tofino, and Pacific Rim regions were lush this past August. This was an advantage we revelled in to enjoy midsummer, beachside campfires (campfire bans restricted opportunities for fires in most southern part of the province for most of the summer months). 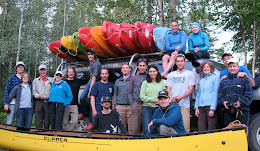 We opted for a guided day kayak tour with Majestic Ocean Kayaking for our adventure. A torn left rotator cuff injury was a factor in seeking ways to avoid long crossings from Vancouver Island to the Broken Group. Options for manageable crossings do exist. I found a great resource in a superb guide book authored by John Kimantas. In preparation for our trip I purchased his book "The BC Coast Explorer." The book offers great trip advice, invaluable info on the cultural and ecological significance of many areas, and detailed, kayak touring specific maps that aid in trip planning. 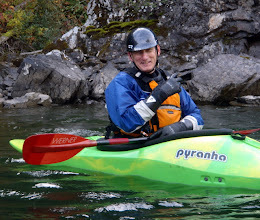 However, local knowledge for any paddling trip should never be underestimated. The assistant guide on our trip described an easy, efficient, launch and route for reaching the Broken Group not described in the most recent guide books. Majestic Ocean Kayaking provided a sea taxi to the Broken Group. Two proficient guides led us through a maze of islands and calm, and sheltered waters. They interpreted the sea life below us, and allowed us to leisurely enjoy the rugged landscape that revealed itself around each point we navigated. Despite the constant rain throughout our tour, we enjoyed our experience. The taxi operator had recently taken an interest in crafting traditional Greenland-style touring kayak paddles and had offered his prototype to the assistant guide to try for our tour. The guide subsequently offered the paddle to me. After a few awkward strokes, I couldn't put it down. I initially doubted it's ability to efficiently propel me through the water. However, after paddling with it for five minutes I was amazed by the single piece of cedar's ability to "pop" out of the water, and the effortlessness involved with each stroke. The smell of of the cedar paddle was also a reprieve from the carbon fibre contraption and over-used/under laundered gear I was accustomed to. Leanne and I used a combination of Bed and Breakfasts and campgrounds for accommodations during our trip. The B&B's were "hit and miss." We had an exceptional experience at the tour operator's accommodations http://www.majesticoceanbb.ca/. Private accommodations and a much needed soak in the seaside hot tub awaited us there, along with a comfortable room and a great breakfast the next day. For supper in Ucluelet we recommend Hank's http://www.hanksucluelet.com/. They serve great local fare on a menu that is constantly evolving. We also stayed at Wya Point Campground during our time on West Coast Vancouver Island. Although somewhat dysfunctional as an operation, this is probably the best private campground camping available in the country simply due to it's location. We camped beachside, with crashing surf and the smell of the ocean outside our vestibule. We relaxed evenings with a campfire and the sound of crashing surf as we nursed craft brews from Tofino Brewing Co. (Leanne's fav was Reign in Blonde while mine was Tuff Sessions). We had a great time on the West Coast of the Island. Expect rain even if it's bone dry for the rest of the province. The advantage is that you'll still be able to have a campfire and you'll enjoy lush scenery wherever you go. 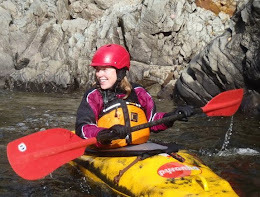 A sea kayaking course is recommended if you intend to navigate coastal waters on your own (Paddle Canada Level 2 skills award recommended). Otherwise, guided trips are the way to go.